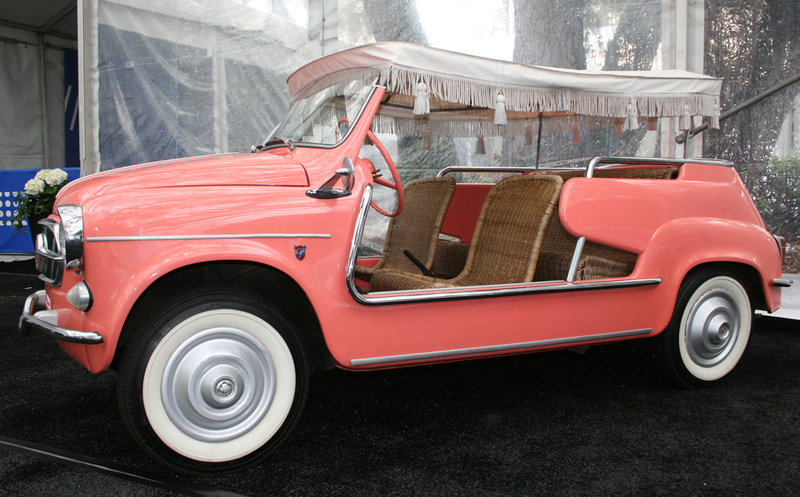 Like maybe I could use a bubblegum pink golf cart. It would be a perfect commuter car to drive the daily two miles to my office in Hampden, right? 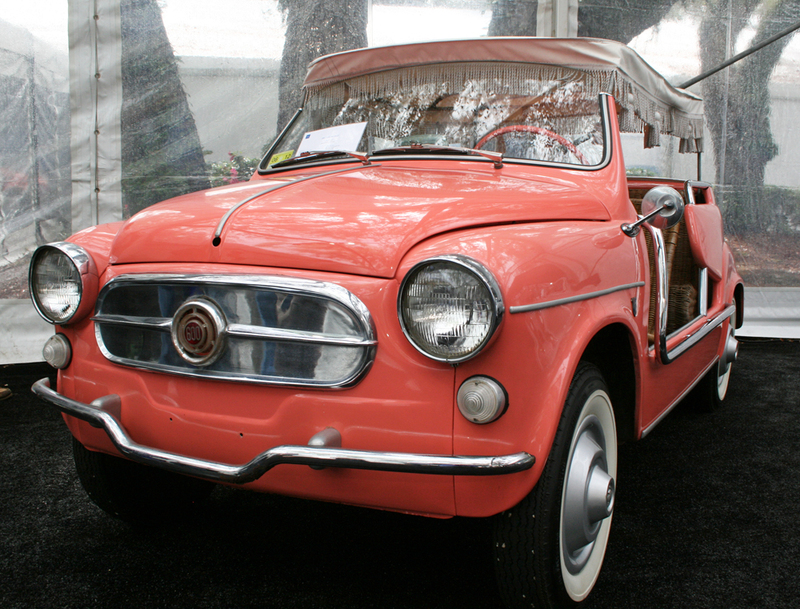 This 1960 Fiat 600 Jolly is estimated to sell for betweeen $80,000 and $100,000. I decided the fringe and tassels were over the top, so we passed. Besides the newly uncovered Baltimore potholes would eat this little thing right up. After dinner, I met the man who bought it. We were sitting around the fire pit on the patio and he appeared wearing a bow tie and lit up a Nicaraguan cigar. He’d been at the auction to bid on behalf of a consortium of investors of which he was part. There were some beautiful cars on sale. 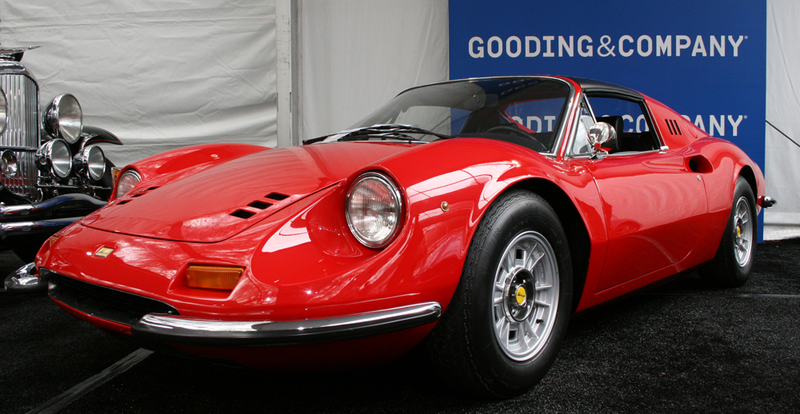 Including this 1972 Ferrari Dino 246 GTS estimated at between $350,000 and $425,000. There really is nothing like the line and style of a Ferrari. 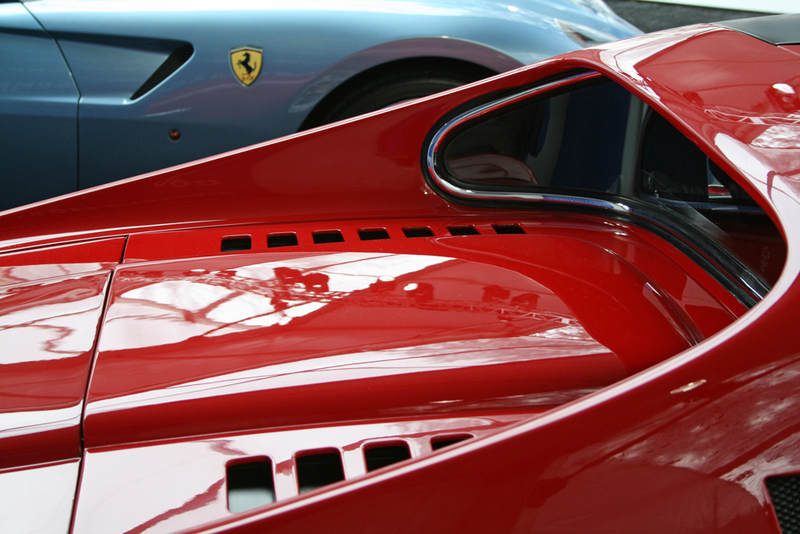 The details of these cars are outstanding, you just want to run your hands all over them. That is frowned upon at Amelia Island, however. Maybe in Pebble Beach you can touch, but not here. 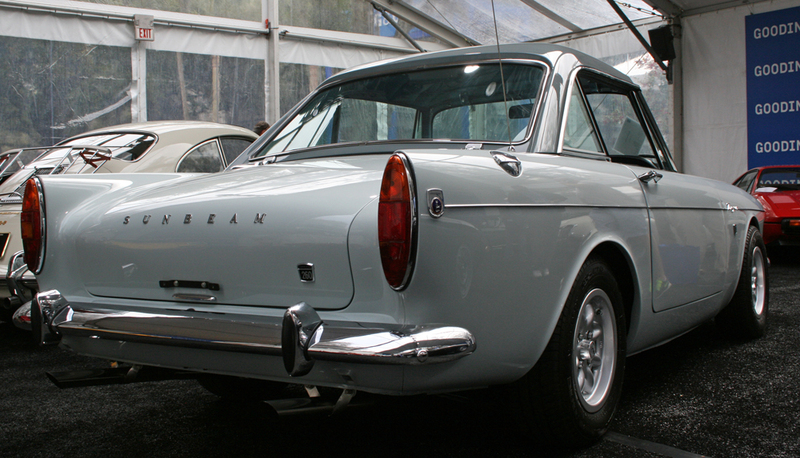 This car, the 1964 Sunbeam Tiger, has a hard top that comes right off. This car is right up my alley . . . a little pedestrian. Affordable back in the day, now clocking in at $130,000. The story goes that when they came out with this car, the advertising campaign featured a woman driver and the result was that no man would buy it. Huge marketing error. So, they put a small block Ford V-8 into it to try to get the men interested. The engine was so tight in the engine compartment, they had to cut a hole in the firewall to change the spark plugs. A beautiful car that was destroyed at its inception by the Chysler marketing department. 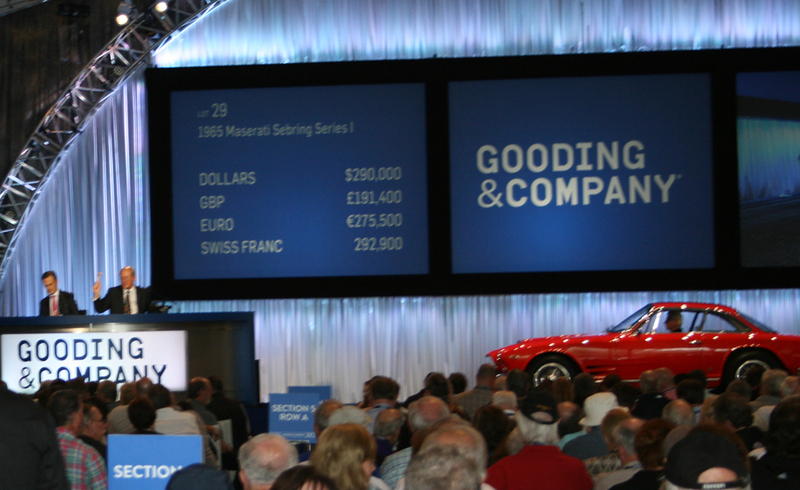 Next up was the 1965 Maserati Sebring Series I which was estimated to sell for $275-$350k. It ultimately sold for $290,000. Just out of our reach. We spent the evening dining and dancing at the Ritz, looking forward to Saturday’s activities. There’s a 911 2.7 Litre RS …I would love to know what that went for ? Enjoy the show and Thanx for the insight ! We didn’t see it sell, but there was a 1973 2.7 RS that was estimated to go at between $1.1m and $1.4m.